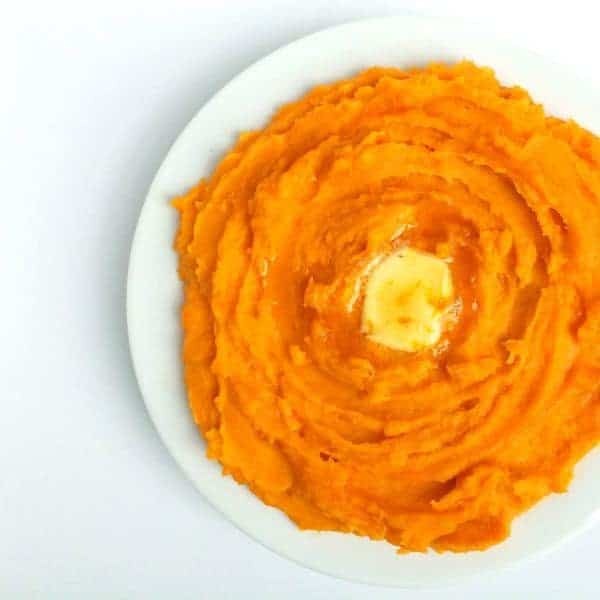 Mashed Sweet potatoes are whipped with pure maple syrup, creamy whole milk yogurt and a hint of orange zest to become a show-stopping side dish for any meal. Our family goes through a lot of sweet potatoes. My kids love them, my husband loves them and I love them, too. Cheap, versatile and packed with health benefits, you really can’t go wrong with a sweet potato. My husband requests my Rosemary Sweet Potato Fries almost every week – even throughout the summer when we make grilled sweet potatoes instead. If you’ve never tried dipping a sweet potato fry in sriracha ketchup, I urge you to give it a try. 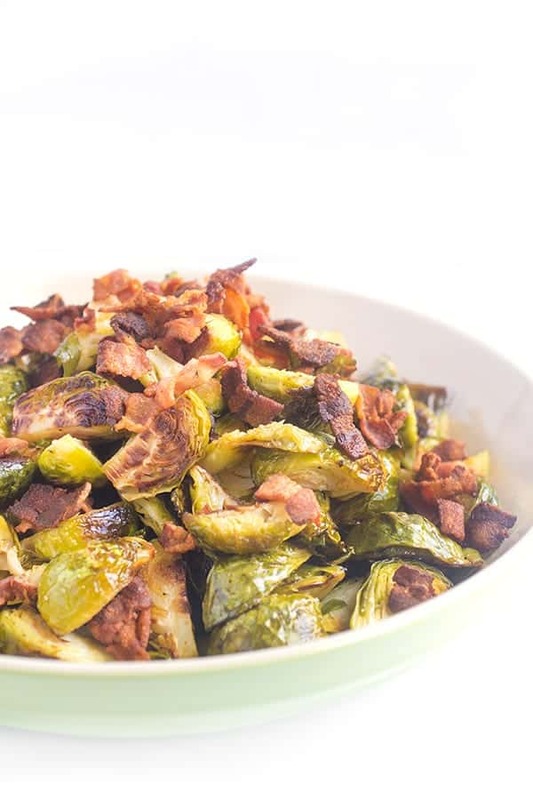 With the holidays fast approaching, I thought it would be fun to share an easy, 5 ingredient side dish we have been making for years. I first started making this dish when I had a catering business several years ago. In fact, it was one of my most commonly requested side dishes. If you don’t have maple syrup, honey makes a great alternative. We also love adding various spices depending on our mood. Smoked paprika, cinnamon and cayenne have all made appearances. Whether you’re hosting Thanksgiving this year or need a simple side dish to bring, these easy whipped sweet potatoes are going to be a new family favorite. Place sweet potatoes in a large pot and cover with cold water. Bring to a boil then reduce heat to low. Simmer until potatoes are fork tender, 7-9 minutes. Strain potatoes and set aside to cool slightly. Add all remaining ingredients to a food processor (yogurt through pepper) as well as the strained sweet potatoes. Pulse on high until smooth and creamy. If you don't have a food processor, you can puree with an immersion blender or a high speed blender. They also taste delicious with a hand-held potato masher. 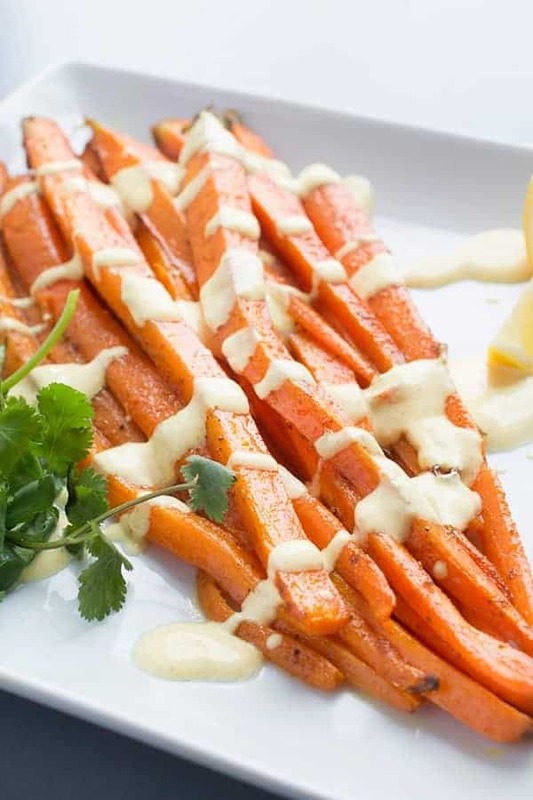 Check out my Pinterest board for more healthy side dishes! This looks so delicious! I love that you used whole milk yogurt, it’s a staple in our house in EVERYTHING! Thanks so much!! Added tons of flavor! As someone who always always always chooses sweet potatoes over regular potatoes….I LOVE THIS! The hint of maple with a touch of citrus sounds perfect for bringing out the naturally sweet flavor of the potatoes! I always do too!! Im sorry but unless the russet is fried twice, it’s always a little under-whelming to me. 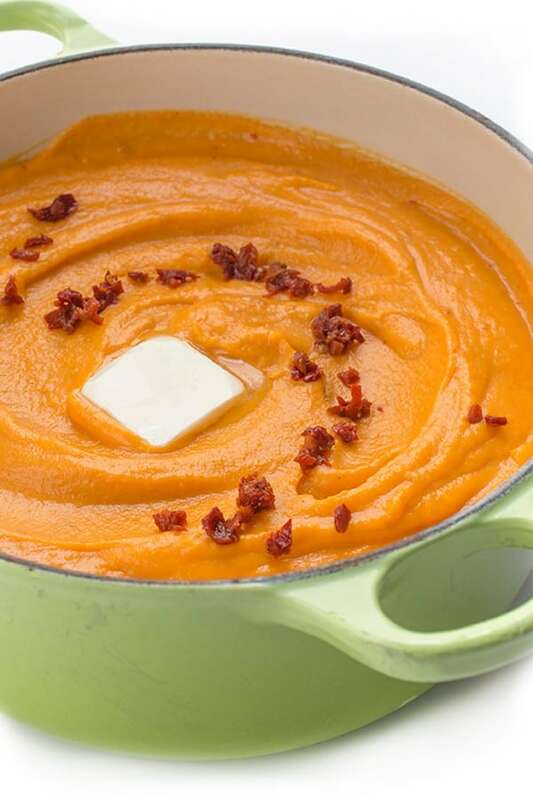 We are big sweet potato fans and this would be a hit! I love how you jazzed them up with maple and orange zest – beautiful! I couldn’t resist adding the citrus!! Maple and sweet potato is the BEST combination EVER! 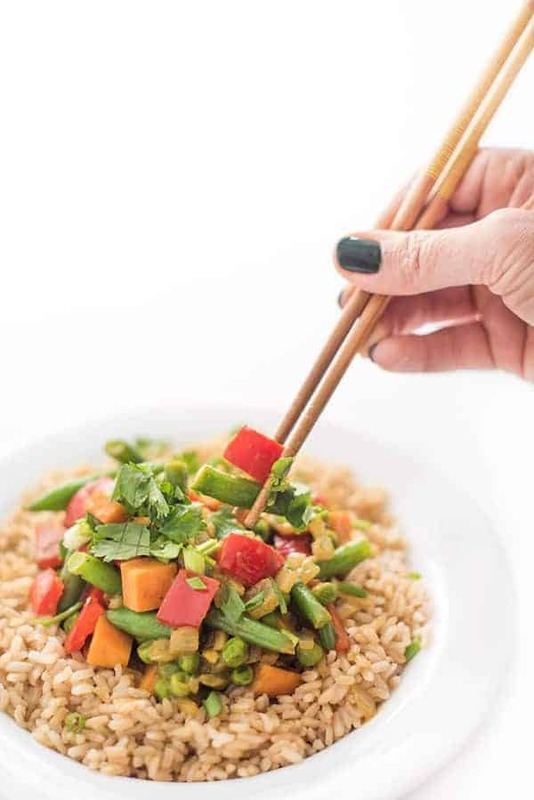 I love love LOVE this recipe Liz! And the photos are making my mouth water! Aww thank you so much Laurie!! Loving the maple and orange in these sweet potatoes! Perfection! Oh boy this looks amazing. I never tire of sweet potatoes!! These mashed potatoes sound amazing! Super flavorful for Thanksgiving! LOVE it! The photo is beautiful as well! I love that touch of orange zest you added in these whipped sweet potatoes! They’ll definitely be a hit! Sweet potatoes are a staple in our house! I would love a new recipe to try. And your rosemary fries? I HAVE to try it!! We make rosemary fries weekly!!! So good! wow, such gorgeous color! this would look amazing on a Thanksgiving table! Love these sweet potatoes, I will definitely be making these for the boys soon! I hope they love them!!! Yum! I love Sweet Potatoes, and these sound heavenly! I love the maple-orange combo, sounds fantastic!!! I love sweet potato! So flavoursome and so nutritious. A big bowl of these maple whipped potatoes sounds like the perfect comfort food on a rainy summer day like we are having today. Maple and orange!! What an awesome flavor combo. I can see why this was highly requested! Yum. Also, sriracha ketchup?? Yes yes yes. We can’t get enough sweet potatoes either. From the gorgeous color to the flavor and health benefits, we are a bit obsessed! I love everything about this mashed version and would happily eat those for breakfast. One morning my boys did have these for breakfast – haha!! Sweet potatoes are a must at our Thanksgiving! Love this simple side! Sweet potatoes are a favorite of mine! This whipped sweet potato looks awesome. 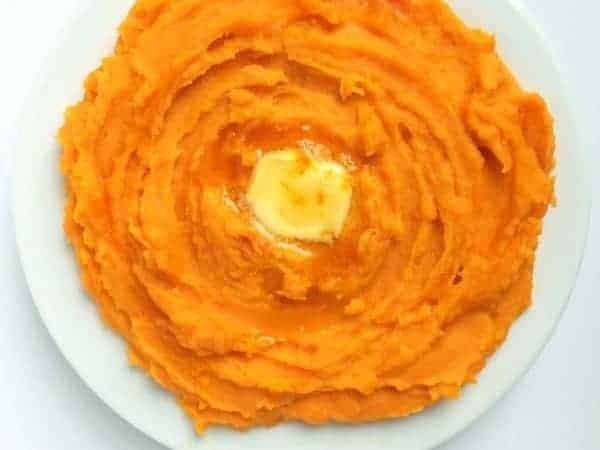 Mashed sweet potatoes are my favorite! I think I’m on the person on the world who actually prefers them savory vs. sweet. Love the addition of fresh orange…yum! No you’re not the only one – I rarely like them sweet but my husband loves sweeter so I made these for him. :) The yogurt helped balance the sweet for me! This looks perfect! I’m thinking of serving it with our dinner tonight- yum! Oh let me know if you try it Lori!! So good and simple. This is definitely my kind of sweet potato dish. :) Love the addition of orange! And those fries?! Definitely making those soon! See I can’t help adding citrus to everything!! It’s like ginger and berries! Oh my goodness! Liz, these look incredible! I’m totally going to try these stat! AND, I didn’t know you had a catering company, I have the utmost respect for anyone who has ever tried their hand at that because last weekend I had to cook for 30 people (breakfast lunch and dinner and snacks for 3 days) and I was just totally bone tired at the end of the day! But back to the sweet potatoes…I can see why they were requested all the time, they sound amazing! It was very short lived because it was so much work!!! Bone tired is the perfect word! Oh yeah, this is what I’m talking about. I love the addition of the orange zest. Pinned! Whipped Sweet Potatoes are one of my favorite dishes on Thanksgiving (or any time for that matter)! Simply delicious! Why are whipped foods so dang delicious?! I am a total sweet potato addict. Pass the bowl! You can have TWO bowls! This looks fabulous! 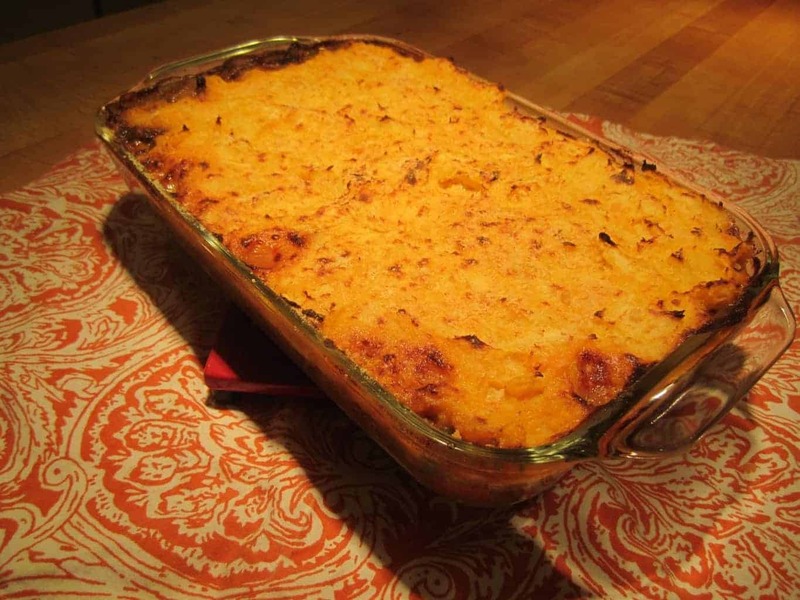 I’m pretty much alone in my sweet potato love in my family–maybe this dish will convert them?! YES I bet it will convert them!! !